I would go back to elementary school right now if I could have Ms. Frizzle as a teacher. Would you? Luckily, it’s just as much fun to pick up on the Magic School Bus books and head off on a field trip. I just love these books. They’re packed full of fun, facts, and learning. 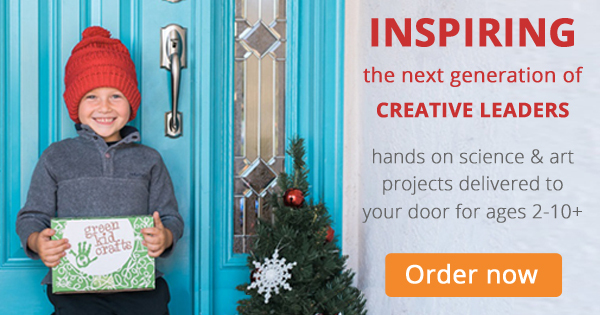 And, they inspire so many fun activities. 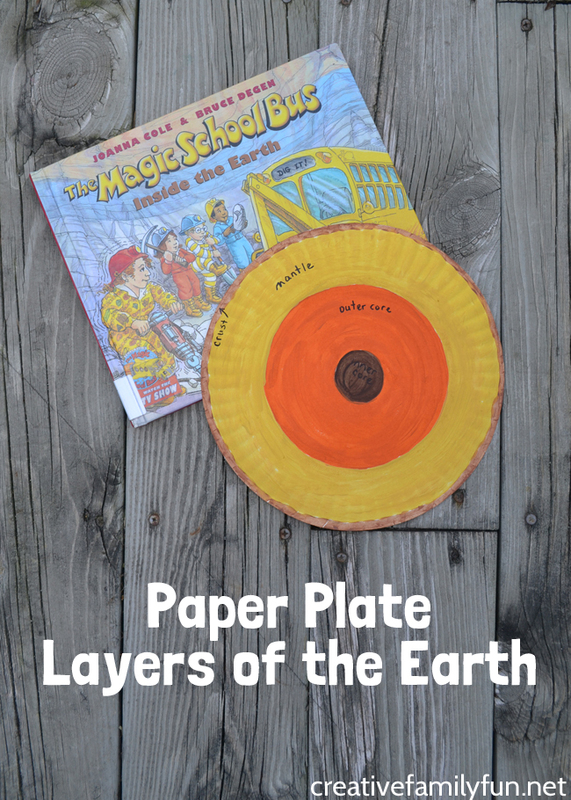 This time we’re learning a bit about earth science with this Paper Plate Layers of the Earth Project. In this book, the kids and Ms. Frizzle travel deep inside the earth. They (and your own kids) learn all about rocks, the make-up of our planet, caves, and all sorts of fun earth science information. Flip your paper plate over. 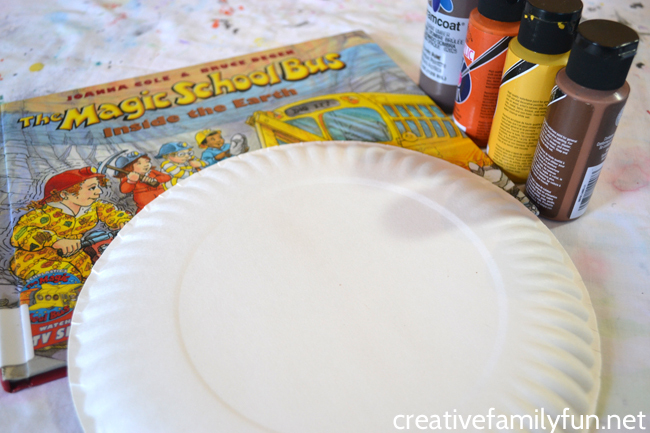 We’ll be creating on the bottom of our paper plate. 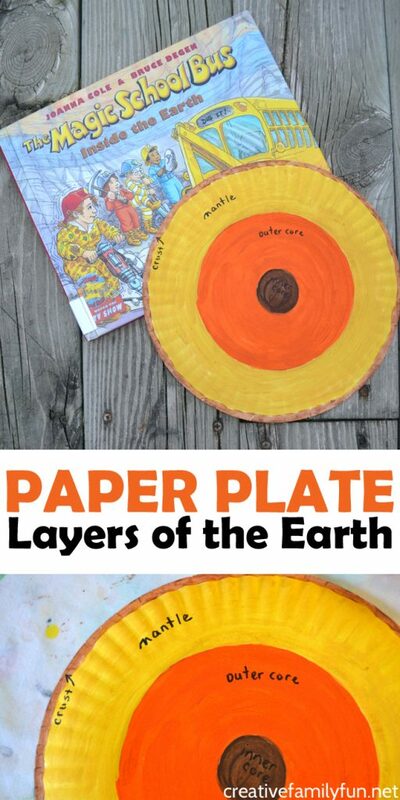 For most of our layers, we’ll be using the markings on our paper plate as a guide. 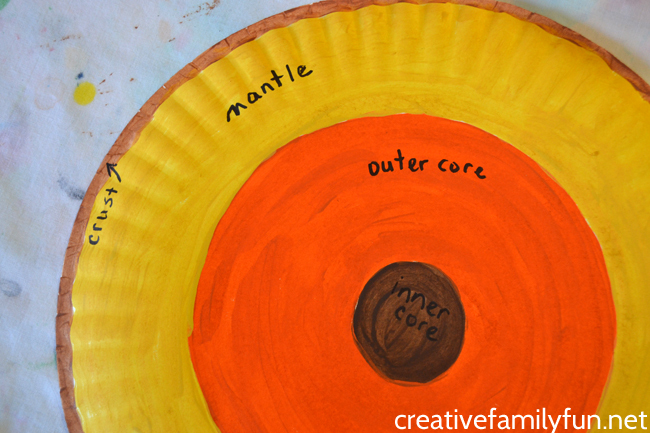 But, to start with, use your pencil to draw the inner core in the middle of the paper plate. 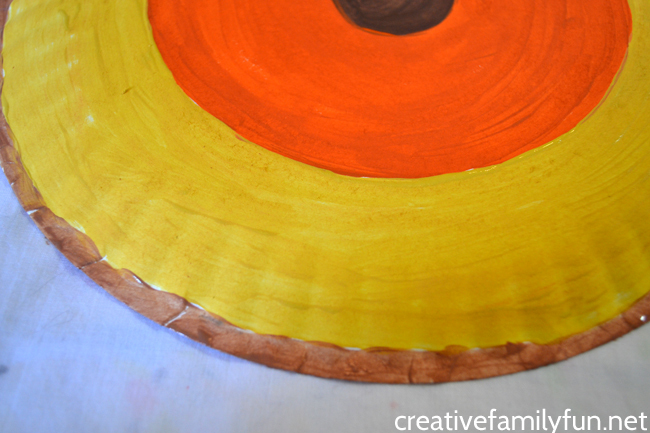 Paint the small middle circle dark brown. Next, paint the outer core. 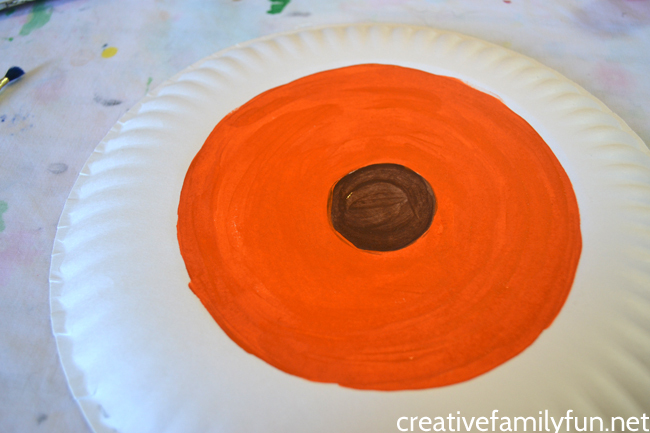 use the orange paint to paint up to the circular line on your plate. Paint the textured section yellow for your mantle and finally paint a thin strip of light brown around the outer edge of your plate for your crust. Feel free to change up these colors. You can use whatever colors you want! Once all your paint has dried, use your black marker to label the layers of the earth. Your center circle is the inner core, next layer is the outer core, then the mantle, and finally the crust. 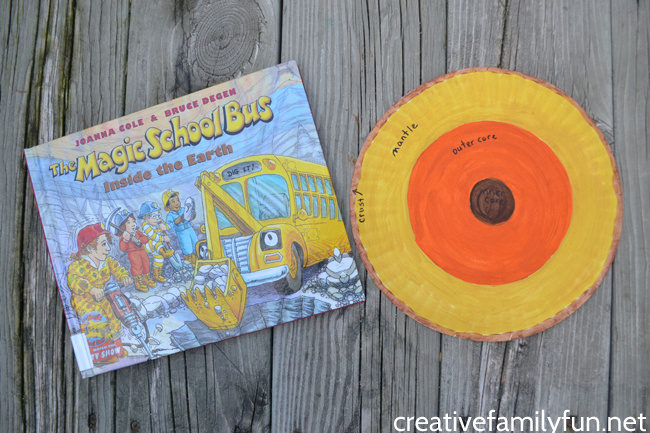 If you make this project in conjunction with reading The Magic School Bus Inside the Earth, you can learn about each of the layers and what they are made up of. This layers of the earth activity is a great complement to the book.